The Central Council of Church Bell Ringers (‘the Council’) was founded in 1891 and is a registered charity, no. 270036. Its address is that of its Honorary Secretary for the time being, namely 11 Bullfields, Sawbridgeworth, Hertfordshire, CM21 9DB. The constitution and conduct of the Council is governed by its Rules. At the close of the Annual General Meeting on 30th May 2011 the Council’s membership comprised six Life Members, 11 Additional Members, seven Ex-officio Members and 196 Representative Members representing 65 affiliated societies. Since then one Life Member has died; six Additional Members have retired and six who had been elected at that meeting took office; five Representative Members have resigned and their vacancies have been filled, one by an Additional Member and another by one of those who resigned; two people stopped being and two others became Ex-officio Members, including one of those who resigned as a Representative Member. Two other vacancies in Representative Members have been filled. Subject to any further changes, at the start of the 2012 Council meeting there will be five Life Members, ten Additional Members, seven Ex-officio Members and 198 Representative Members. There are two other vacancies. Special mention should be made of those who had been members for more than 15 years: Dr John Eisel (Honorary Member, Ex-officio Member) elected 1987; Eric Godfrey (Surrey Association, Honorary Member, Additional Member) elected 1978. Thanks are due to these, and all others not returning, for their services to the Council. The work of the Council in pursuing this object is for the most part carried out by its sixteen committees and by working groups appointed by them. Summaries of their activities during 2011 are given in the committee reports, which appear elsewhere on the Council’s agenda and are being published in the 4th May 2012 issue of The Ringing World. The Accounts for 2011 show Total Funds at the year-end of £381,806 of which £221,814 is in Restricted Funds. The income for the year totalled £41,926, compared with £56,619 in 2010. The 2011 figures include a grant from the PRS Foundation in respect of the New Music 20x12 project and donations for the Christchurch Cathedral New Zealand bells restoration, whereas the comparative figures for 2010 included a legacy for the Bell Restoration Fund and sales of new publications and CDs in the Publications Fund and Library Fund. The Trustees have the power to invest money and adopt such measures as seem to them necessary in the interest of the Council. They do not have any power to borrow money. It is confirmed that the Council’s assets, together with the expected income for 2012, are available and are likely to be adequate to fulfil the object of the Council in that year. (i) General Fund - the balance on the General Fund is invested to produce income which, together with member societies’ affiliation fees, provides sufficient funds to support the work and activities of the Council. The balance also facilitates cash flow and enables the development of new projects and initiatives. Further donations were received in respect of the proposed new volume of the Rolls of Honour. This is included in the General Fund as a designated item and, together with the related gift aid, amounts to £841. Donations were received in respect of Christchurch Cathedral New Zealand bells restoration following the damage caused by the earthquake to the City of Christchurch. This is included in the Bell Restoration Fund as a restricted item and, together with the related gift aid, amounts to £5,190. The Fred Dukes International Bell Fund awarded two grants totalling £2,200. No grants were paid during the year. The Bell Restoration Fund did not award any grants in 2011. Thirteen grants, awarded in 2010, were paid in the year. There were unfulfilled charitable commitments at 31st December 2011 in respect of five grants totalling £8,222 awarded but not yet paid by the Fred Dukes International Bell Fund, and eight grants totalling £9,700 awarded but not yet paid by the Bell Restoration Fund. There is also a charitable commitment to Christchurch Cathedral New Zealand bells restoration in respect of donations received but not yet paid amounting to £5,190. Storage and distribution cost of £2,200 was paid to Council members. Since the 2011 Council meeting the Committee has met twice in London, in October and March. The Committee has continued its practice of reviewing the work of Council Committees and received presentations from the Public Relations Committee in October and the Methods Committee in March. In March Committee chairmen advised which members would be retiring under the provisions of rule 14 (i) and the committee sizes needed for next year. Lots were drawn for those elected members of the Administrative Committee to retire this year. The arrangements for the 2012 Council meeting were discussed and agreed; this included recommending a change to the date of the annual meeting of The Ringing Foundation Ltd for 2012 and 2013 in response to comments and suggestions received by the President after the 2011 meeting. A web-based survey was conducted on circulating papers for the Annual Meeting by electronic means to those Council members with email. Membership of The Ringing Foundation Ltd or The Ringing World Ltd when either annual meeting is held before the Central Council’s annual meeting: a paper on the implications of this for new members of Council at the commencement of a triennium was prepared by Tony Smith and discussed in March. An amendment to Rule 5 (iii) to clarify the position appears on the Agenda. Change Ringing for the Future: the March meeting considered the results of the national conference held at Wellesbourne on 12 November 2011 and a draft paper on future strategy and actions for the Council and ringing societies. The revised paper will be presented to members at the Chester meeting. Guidance on committee expenses: this was revised by the Treasurer, approved by the Committee at its March meeting and subsequently placed on the website. Supporting statements to accompany nominations for Additional Members: guidance was agreed and placed on the website. Council Finances: the General Fund was reviewed at both meetings, but with interest rates remaining low, expenditure continued to be greater than income. However, forecast expenditure to produce the new volume of the Rolls of Honour was now covered by donations received in the last two years and the grant received from the PRS Foundation covered the fees due to the composer and production company in respect of the New Music 20x12 project. The level of the affiliation subscription was reviewed, and the committee proposed no change for 2013 leaving the rate at £25 per representative member for a second year. Church Buildings Council (formerly Council for the Care of Churches) & English Heritage: a meeting was held on 10 October 2011, attended also by the Committee for Redundant Bells. Items discussed included metal thefts from churches; the DAC bell advisers’ conference at Southwell; completion of Church Bell Frames: guidance notes for identifying historic significance and preparing reports; and the future of bells in closed or closing churches. The Committee for Redundant Bells will prepare a paper on this for the next meeting on 25 June 2012. The 2012 DAC bell advisers’ conference will be held in Worcester on 13 June. Ecclesiastical Insurance Group (EIG): A meeting was held with EIG on 22 March 2012 where matters of mutual interest were discussed. EIG confirmed that they get very few ringing-related claims and they are aware of how safety-conscious ringers are. The minutes are published in The Ringing World. Since the Council meeting in 2011 the Committee has held three face-to-face meetings at Wellesbourne in Warwickshire. We welcomed three new members: James Blackburn (Beverley & District), Deborah Thorley (Yorkshire Association) and Duncan Walker (Carlisle Diocesan Guild). It has been a busy year with the focus of our attention being the organisation of a national conference in November. The original proposal had been to arrange an Education Officers’ Conference for those who are involved in teaching ringing at association or branch level. This was soon overtaken by events when it became clear from discussions with the Administrative Committee that there were much wider issues at stake. Instead of confining the scope of the conference to training matters, this Committee found itself spearheading an event with a much broader brief. The Wellesbourne gathering, “Change Ringing for the Future”, on 12th November was a consultation exercise on a large scale. It has since been well reported and its ripples continue to spread beyond the remit of our Committee. Our overhaul of existing courses and material is ongoing. Current projects include adapting the Listening Course for use with standard PC software, plus developing the Mentored Conducting scheme for aspiring conductors. The latter has moved forward from a trial phase and is now “Open for Business”. Take-up has started to increase, with four students joining in recent months, but there is capacity for more to join as well. Additional mentors are also being recruited, in line with re-branding from “Conduct5040” to “support4u2conduct”, ensuring a broader appeal. In order to drive further people’s transition from simple “bob-calling” to the broader conducting skills, the Committee is planning to pull together and further develop the available material, for training and reference. More details are available at www.support4u2conduct.org. Education Committee members have been proactive in attending and presenting ITTS courses. Six of the ten ITTS tutors are Committee members, and four now serve on the Management Committee of the newly formed Association of Ringing Teachers. Of the ten ITTS Module One courses run since the 2011 Council meeting, Committee members tutored five. The attendance figures for all ten courses are 87 prospective new teachers, 51 mentors, and 9 observers. Three Module Two courses were held, all of which were tutored and observed by Committee members; 20 new teachers, 13 mentors, and 5 observers attended. An ad hoc course on tower leadership was produced for the Bath & Wells Axbridge Branch and the material written for this event is being adapted for more general use. The Committee arranged two courses in Kent, a one-day course and an experimental course presented in weekly instalments; 8 students in all were involved. 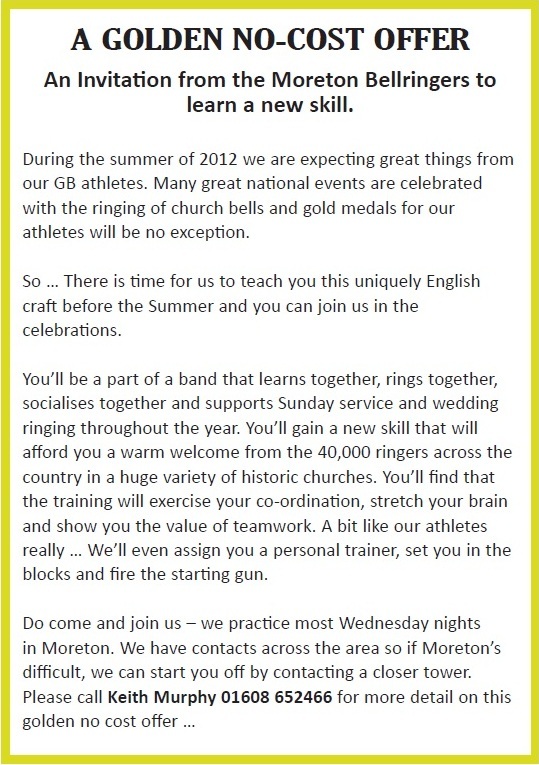 An enquiry about a Listening Course in October 2012 has been received from the Wirral Branch of the Chester Guild. A year after the event we have had much positive feedback from ringing teachers in the USA who attended the Teaching the Teachers course in Atlanta and Marietta. A compilation of their responses will be published shortly. 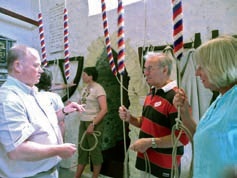 Articles written by Committee members for The Ringing World have appeared each month, a variety of topics being covered. The series about the psychology of learning, “Learning - what helps, what hinders”, concluded with hints for teachers of learners with disabilities and is now finished. A series for tower leaders with little experience, “Learning Together”, is running currently. The New Ringer’s Book continues to sell well and Simon Linford’s Judging Striking Competitions is in the final stages before going to print. Wall charts illustrating good and poor handling are ready for printing once the details of distribution have been resolved. Work continues on writing material for a teaching manual, essentially for new ringing teachers and complementary to The New Ringer’s Book. Producing a text for handbell ringing is under consideration. Writing new material is seen as an important part of the Committee’s remit. Many people have assisted the Committee with its work and we extend our thanks to them all, particularly to those whose efforts and encouragement made the Wellesbourne conference such a success. In the coming year we look forward to closer liaison with the Ringing Foundation, the Ringing Centres Committee, and other groups charged with ensuring the future of the Exercise. We have continued to maintain and grow the CCCBR website in its present form. The increased workload in recent months has made it clear that without two more people with, or able to acquire, the appropriate skills and willing to volunteer several hundred hours* a year we will not be able to migrate the website to a Content Management System without paid professional help. Also, without one more such person the on-going viability of the website depends on the continued availability of both the systems administrator and the webmaster. * An informal, independent analysis of the webmaster’s email traffic indicates that updates and maintenance to the content and appearance of the website take on average one hour each day, and requests for changes or updates are usually resolved within 1 working day, and often sooner. This is a significant level of service, and better than many professional hosting companies will offer. Cheaper, higher capacity hosting services contract negotiated by Aidan Hopkins. Test system for the Drupal Content Management System established by Alan Chantler. 75 more biographical records added, as well as a number of updates to existing biographies, for the Biographies Committee by Stuart Piper. Significant website content has been added to cover the Diamond Jubilee celebrations and the Olympic Games with input from the President and the Public Relations Committee. Greatly enhanced Things to ring for … lists based on input from the Public Relations Committee. Worked with John Harrison to make all four volumes of The Learning Curve available online in the Education Committee’s section of the website. Routine updates and content additions to various sections of the website. This includes daily updates and maintenance of the Felstead website by Andrew Craddock. Obtain and evaluate cost estimates for professional management of our website server and for the implementation of a CMS. Put more urgent emphasis on reducing the Council’s dependence on Aidan Hopkins and Peter Trotman. We remain grateful for the continuing contributions of Richard Allton, Claire Bell and Paul Johnson to their sections of the website; to Aidan Hopkins as server administrator; and to Andrew Craddock, Don Morrison and Tina Stoecklin, former members of this committee, for their continuing advice and support. John Eisel was presented with a framed print from the Illustrated London News of 31 May 1856 entitled “Peace rejoicings - ringing the bells” by Tony Smith, CC President, at the Hereford CC Meeting to mark John’s retirement as Library Steward. This occasion was followed by an article entitled “A retrospect on 19 years as Custodian of the Central Council Library” written by John Eisel and published in the 1 July issue (page 689) of The Ringing World. John has handed over the reins to Alan Glover, but he certainly hasn’t retired from researching, compiling, editing and typing for the benefit of the Exercise! The committee members have recognised John’s great contribution by inviting him to become an Honorary Life Member of the Friends. Relocation of the stock was done in stages by John and Alan, to whom we are very grateful for making twelve journeys to/from Hereford and Worthen and only charging for the diesel! Our latest publication: “Order & Disorder in the Eighteenth Century: Newspaper Extracts about Church Bells and Bell Ringing” compiled by Cyril Wratten and edited by John Eisel has been reprinted, together with the new Supplement compiled by John - see RW advertisement on page 1251 or www.cccbr.org.uk/library/publications. Chris Pickford kindly reviewed both items for us: see RW page 19 of 6 January 2012. John has made considerable progress with the nineteenth century newspaper extracts, which it is intended will be published by the Library Committee. The next volume covers the period 1800-1829 and is well advanced. John is also providing material to be added to the Felstead database. We still plan to publish a bound volume of c60 of John Eisel’s articles for The Ringing World. Paul Johnson has made Campanology (16 Sep 1896 - 10 Mar 1897) and The Bellringer (5 Jan 1907 - 1 Jun 1907) magazines available on the Library Committee website. 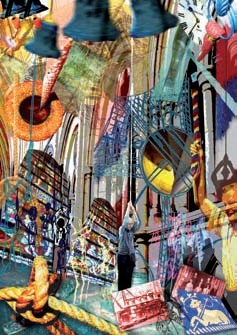 He is now working on the next Ringing World DVD 1941-1970, with plans to have it available for sale in 2012. As a result of our December advertising splash, the RW DVD 1911-1940 continues to sell well, plus the Bell News DVD, the two Ringing Periodicals CD, Trollope Manuscript CD and the Library Catalogue, which all continue to keep the ringing fraternity alert to the work of the Library. See the CCCBR Library Committee website, including special prices for Friends. We would like to loan the duplicate set of Ringing Worlds to a Guild/Association - after it has been scanned for the 1941-1970 DVD. For example, the duplicate set of Bell News is on loan to the Truro DG Library. Please contact the Steward for information. Several people kindly offered to assist with converting old recordings held on records, cassettes and videos to DVD and we hope to progress this work as soon as we have finished prioritising the material. We were pleased to welcome Greg Morris (North Wales Association) to the committee. He has professional librarian experience and is assisting Alan Glover with producing an online catalogue. Since June four items have been lent out, and a further sixty-six queries have been dealt with by letter or email. Many of these have been from Pat Halls on behalf of the Biographies Committee or Alan Baldock in connection with the Felstead records. Others have concerned personal research by individual ringers and a number of enquiries from various sections of the media. The main project has been preparing various catalogues or indexes ready for the time when the CC website is able to host them. These include updates to the main catalogue and a subject index for the manuscripts and ephemera. All are ongoing. 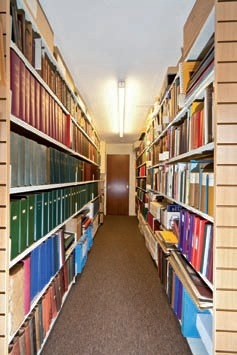 In addition to the annual reports which we have received, 75 items have been added to the catalogue in 2011. We are most grateful to those who have donated books, articles and manuscripts. Alison Hodge wrote a letter to The Ringing World (page 1234) entitled: “Who do you think ‘they’ are?” to encourage grassroots ringers to value/save the ephemera in their ringing chambers before the names and ephemera are lost. The Chairman of the Biographies Committee took the opportunity of replying to the Editor and endorsing our message. We suggest Alison’s idea is passed on to newsletter editors. The Committee is planning to hold another “Outreach Day” in Spring 2013 for those interested in ringing books, ephemera etc and issues such as the future of Guild/Association libraries. Please watch for publicity in The Ringing World, in due course. The Methods Committee held two meetings in the year, in Whitchurch, Hampshire on 9 April, and at St Catharine’s College, Cambridge on 9 October. Much of the work of the committee involves considering interpretation of and changes to the Council’s Decisions. We have looked into a number of areas this year, and proposed two changes to the Decisions which were passed at the 2011 meeting. We have continued revising the methods-related pages of The Ringing World Diary, providing replacements for the Doubles, Plain Triples and Caters sections in the 2012 Diary. This year we plan to replace the Cinques pages, which are the last “old” pages that remain. Our approach going forwards will be to maintain a core set of the frequently-rung “standard methods”, and in addition to feature a selection of other interesting methods, which we will change from year to year. We would like to thank Roger Bailey for his help with the layout of these pages in this and previous years. The Committee is responsible for the Council’s Method Collections which are available on line in HTML and computer readable format at http://methods.org.uk. We are extremely grateful to Tony Smith for making weekly updates to add new methods. These collections are a valuable resource for ringers and the data contained in them is used by several ringing programs. They now contain over 17,000 methods. We are considering how the Committee can support Change Ringing for the Future initiatives by providing resources that will appeal to technically-minded younger ringers. This would include writing or commissioning articles and providing web materials that will stimulate a wider interest in methods and related technical topics, and aid retention of that subset of young ringers who have leanings in a mathematical direction. We have recorded a total of 5030 peals rung in 2011 and published in The Ringing World up to 9th March, of which 4288 were on tower bells and 742 on handbells. The revised total for 2010 is 4950 - a net increase of 80. Full details are included in the methods table that accompanies this report. The Yorkshire Association is the leading society with 342, a narrow margin over the Oxford Diocesan Guild. The Chester Guild is once again the leading society for handbell peals with 101. Once again, eighteen societies rang 100 or more peal in 2010. Please see separate table for details of peals rung for individual societies. At this time, we believe there are still a number of performances that have not yet been received by The Ringing World, including one in a new method, which are not included in the totals and lists below. We would encourage the conductors and bands to submit these for publication in The Ringing World so that they can be included in the adjustments next year. There has been much discussion around the publication of ‘non-compliant’ peals in The Ringing World. After some discussion our advice is that the Editor has the right to decide how any performance is published, and the format it is in, based on how it is submitted to him. However, the decision as to how a performance is included in our analysis is for this committee, and will be based only on those published in The Ringing World. The Editor does still have an obligation to refer any performance over 10,000 to us prior to publication. There were three record peals rung in 2011, together with a number of other peals over 10,000 changes. The record peals are detailed in the Records table below. We have identified four performances published as peals in The Ringing World that do not comply with Decision D (Parts A-D) relating to peal ringing. They were all rung on dumbbells using a simulator, three of them at Hopton Heath, Shropshire (the Marches Teaching Belfry) and one at Brampton, Cambridgeshire, St Mary Magdalene. There were also 22 handbell venues where 10 or more peals were rung 2011. We have noted 159 people who rang their first peal in 2011 (149 in 2010) and 28 firsts as conductor (32 in 2010). We congratulate all those involved in these performances particularly where several firsts were included in one peal. The data in last year’s report showed that there was a gradual decline in the number of people ringing their first peal but the numbers have stabilised and it is possible with events like the Olympics that more first peals could be rung this year. The number of firsts as conductor has fluctuated over the past ten years but the total for 2011 is the lowest for some time, perhaps reflecting the trend for many people to ring as established members of a band where perhaps the conducting is not shared. There are a number of alterations to the 2010 Analysis owing to late publication which are detailed below. Corrections relate to tower bells except where specified. The amended methods analysis for 2010 is shown in the 2011 methods table, which forms part of this report. Revised totals for 2010 are: tower bells 4208, handbells 742, total 4950. Work on maintaining the accuracy of the Felstead database has continued during the year. Andrew Craddock is responsible for all peal data post-1989 and downloads the data regularly from The Ringing World, Bellboard and Campanophile websites for all new peals rung; the committee is grateful for his doing this work. Alan Baldock continues to look after the data for all pre-1990 peals. Many instances of inaccuracy on the database where the name of the method does not appear in the Council’s record of method names have been corrected but there are still a lot more outstanding. The most common reason for this is that the name had to be changed after being published and either no correction was published or a correction was not picked up and the record card changed. There are also a number of peals, which have been found to be false, still appearing on the database as valid. Work is on-going to correct the inaccuracies in these areas but it is quite a lengthy task sometimes requiring a number of enquiries being made before the correct status of a peal is discovered. We continue to receive notification from various ringers of some previously unrecorded or inaccurately recorded peals and the committee is grateful to all who have contributed in any way to the accuracy of the data. Alan Glover has been of great help in answering queries by reference to the material in the library. John Eisel’s on-going work with the extracts from eighteenth and nineteenth century newspapers has resulted in over 130 previously unrecorded peals being added to the database and corrections being made to about 50 others. Four new members joined the Committee at last year’s Council making us up to strength for the first time in a number of years. Over the last year various rôles have changed: Barrie Dove is now Chairman; Helen Udal is Secretary; James Forster is dealing with Learn to Ring! and Rupert Littlewood has taken over University Liaison. Claire Bell has stood down from the Committee during the year. Nick Jones (PR Officer for the Llandaff and Monmouth DA) has been co-opted onto the Committee to keep the numbers up to strength, and has already made his presence felt. The PRC continues to meet on a regular basis with much of its work done by email and telephone. We continue to update the ‘Things to ring for’ pages on the Central Council website and answer questions and enquiries made to it. We have submitted articles to The Ringing World paying particular attention to The Queen’s Diamond Jubilee and the London 2012 Olympics. We have assisted Kate Flavell, President, with the Five Rings Triples 20x12 project. We have also promoted ringing generally throughout the year with a number of short radio broadcasts by both Barrie Dove on The Chris Evans Breakfast Show and John Harrison on Radio Oxford. Mike Orme continues to assist with the producers of the Bells on Sunday BBC Radio 4 programme. Committee members this year have also provided assistance to the German TV channel ZDF, Japanese TV Broadcaster NHK and Arts Council England. Demand for the Learn to Ring! publicity leaflets continues with 17,000 supplied during 2011. Both the recruitment poster and leaflets are available to download as PDF files from the CCCBR website. This year has been quiet, three contacts having been made. We responded to them all. This year we received a total of 46 enquiries and in each case the enquiry has been referred to a suitable local contact. A handful of these have come from mainland Europe. After conducting a comprehensive review from a web-based survey and paper questionnaires early last year the strengths and weaknesses of past road shows were considered and, as a result, it was decided the next Road Show would be in 2014, probably at the Newbury racecourse. The Committee has maintained close contact with the producers of this programme with a view to maintaining the quality and variety of recordings the programme airs. New recordings are continually being sought. The start of 2011 saw both New Zealand and Australia devastatingly affected by natural disasters with tragic loss of life. The comprehensive damage to Christchurch’s Cathedral, a vital symbol of the city and the community, was very hard to absorb. Thanks to the strenuous efforts of various ringers in New Zealand and Australia a very successful and busy long weekend was spent in Sydney in November by a large group of Christchurch ringers. There were multiple ringing, quarter peal and socialising opportunities and everything went seamlessly. It was good to renew old friendships and establish new ones. It was timely that the annual ANZAB Festival was held on the North Island of New Zealand in Hamilton and Auckland and, as always, it was a pleasure to catch up with ringing friends and for the Australians to get to know more of the New Zealand ringers. Early in the year we welcomed three UK peal and quarter peal groups on successful tours - the College Youths, Cumberlands and Gerry Skelly’s Bristol group. In mid-year the North Eastern Branch of ANZAB introduced a Six Bell Country Striking Competition, known as the Kookaburra Cup, with the aim of improving striking - this proved to be a great success. Comprehensive information including CDs of ringing was provided to potential participants and was very helpful. Each of the eleven teams recorded their entry in their own tower which was then sent electronically to the adjudicators. As a start to our 50th Anniversary year multiple quarter peals were rung in June replicating the first four quarters rung at Parramatta in Sydney in June 1961. ANZAB was delighted to be invited to be the featured Association in the 2012 Ringing World Calendar which was finished and printed ahead of time and was very well received by ringers and non-ringers alike. We look forward to meeting friends from around the world on the occasion of our 50th Anniversary Festival in Sydney in June. and all ringers were resident. A handbell weekend is planned in Dietenheim, Germany, from 24-25 March. If anyone is visiting Germany, Switzerland, the Netherlands or Belgium, or knows of any ringer in the area, they are invited to contact me at rodney.yeates@ukmedicalwriting.de. 2011 was a year of news for North American ringers. 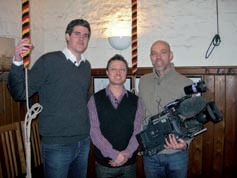 We ended 2010 with major media coverage of change ringing. First, a dazzling Washington Post article ran on the Whitechapel Guild of the National Cathedral School. Victoria, BC, Christ Church Cathedral ringing was highlighted by the local BBC, and on Christmas Eve “eve”, NPR affiliate NLRN ran a beautiful piece on the bells at Miami’s Trinity Cathedral. In 2011, electronic and print media coverage was brisk as well. Amid all the flurry of preparations for the marriage of Prince William and the captivating Kate, NBC broadcast “Inside the Royal Wedding,” a program produced by a London film company on Westminster Abbey. “Heavenly Bells,” the Tribeca Citizen proclaimed in Kristl Hall’s excellent article and photos of ringing at Trinity Wall Street, while Arkansas Life showcased the bells and ringers at Trinity Cathedral Little Rock. The Marietta Daily Journal extolled “James Williams dances with the bells at St James”; the Reporter News in Abilene noted, “Bells were ringing at Heavenly Rest”, while in Charleston, the local ABC affiliate highlighted visiting English tutors and ringing at St Michael’s Church in honor of Carolina Day. Making ringing news more accessible, a mobile optimized version of the NAG website was launched. The Trumplers rang a peal on handbells in India; Shreveport held their first ringing festival and in Abilene, bells were rung again for the first time in years, with help from North American ringers. In Dallas the formidable tower stairs became a thing of the past amid great celebration, and in July Victoria, BC, ringers celebrated the 75th anniversary of the hanging and first ringing of their bells, inviting all of North America to attend and ring with them. There was sad news, too. February 22 brought us the heart-wrenching news of the earthquake in Christchurch NZ and destruction of the Christchurch Cathedral bell tower. In July we learned of the death of Paul Engsberg, the visionary who brought bells to the Sewanee Breslin Tower at University of the South. Then in August, an earthquake toppled pinnacles and angels from the main tower housing the beautiful bells of the National Cathedral. Soon after, the Sewanee bells were silenced when tower stones were observed wobbling during the course of a peal. But there was good news to follow. The Breslin bells are ringing again, and Tower Captain Gail Watson has been training several new ringers, intent on revitalizing the legacy of Paul Engsberg. In Washington, the Cathedral bells began ringing again on November 12 to mark the consecration of the ninth bishop of the Diocese of Washington. Members of the Cathedral close community told ringers they saw the sound of the bells as “an outward expression that all was well” despite the extensive repair and reconstruction work still to be done. But there is more good news and new opportunities for North American ringers: Change ringing bells are ringing again at the University of Chicago. 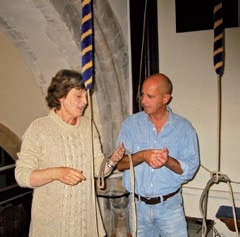 Tom Farthing began teaching new ringers in July. Joined by two ringers from Northwestern University, the new Chicago ringers were welcomed enthusiastically at the Kalamazoo ringing weekend in October. As you might expect, Tom’s young learners are coming along just fine. Yale revealed hopes for a new 190 foot tower with twelve change ringing bells in their residential-colleges project. At Trinity Wall Street, ringers from Washington, Boston and New York have been working on twelve bell peals rung predominately by resident North American ringers. 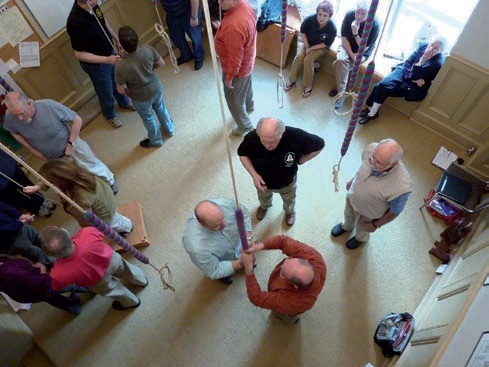 On November 11, 2011, they rang 11,111 Stedman Cinques, composed by R. C. Kippin, the longest Cinques ever rung in North America. Shreveport and Dallas celebrated their first peals, and towers from one end of the continent to the other are still benefitting from the lessons learned at “Teaching the Teacher” presented by a team of Central Council trainers in February. Change ringing is alive and well in North America. The message is good, and clear as a bell. The AGM of the South African Guild was held in Cape Town over the weekend of October 1st. Apart from the usual activities, including quarter-peal attempts, a striking contest and a formal dinner, the meeting was notable for the election of a new President, Richard Roberts from Parktown, Johannesburg, replacing Ed Elderkin from Cape Town who wished to retire from the post. Richard is also Ringing Master of the Transvaal Society, and it is hoped that the two societies will move towards a formal merger in due course. The bells in Durban have been silent for much of the year, St Paul’s due to tower repairs and St Mary’s having experienced an unfortunate headstock failure. Following discussion at the AGM, Chris Fitter from Fourways Gardens has made a dye penetration inspection of the other headstocks and ringing has resumed on the back eight at St Mary’s, pending rehanging of the front two bells on new headstocks. Ringers converged on the chapel at St Peter’s Preparatory School on December 16th for a trial ring on Johannesburg’s latest peal of bells. Comprising six bells, tenor 2½cwt in F#, the frame, fittings and ropes were designed and made by Matthew Higby, who also cast three of the bells and tuned the other three, one of which was donated by the Keltek Trust. After all present had enjoyed a turn or two at ringing, the company adjourned outside for a celebratory glass of something suitably fizzy. The installation still needs some minor adjustment but all agreed that they sound and “go” well, a worthy addition to the school. It is the school’s intention that they will be rung daily by a band drawn from the senior grades; there will be no general ringing outside of school hours. The bells will be dedicated at a service on February 23rd; in the interim, several brief video clips of the trial ringing have been loaded on “YouTube”. The project to install a light ring of six at Queenstown, Eastern Cape, is progressing and it is hoped that they will be cast and hung during 2012. Unfortunately there is still no ringing in Harare as the Cathedral remains out of bounds. Regular ringing in Kwekwe is limited as a number of the young ringers have left to further their education elsewhere. Harare ringers travelled to Kwekwe once last year for the AGM and to have an opportunity to ring. There was a good turnout of available ringers from both Harare and Kwekwe for this day. Harare ringers were impressed by the Kwekwe ringers commitment to good striking. Harare ringers were, needless to say, a bit rusty but soon got back into it! Our new office bearers are Master - Stanley Dube, Secretary - Nyasha Gumunyu, Librarian - Teddy Kabwemba and Tendai Dzuda remains as Treasurer. Only one new publication, Stedman Compositions, was produced during the year. Nine titles were reprinted: The New Ringer’s Book, Ringing Jargon Made Easy, Ringing Circles, Beginner’s Guide to Change Ringing on Handbells, Will You Call a Touch Please Bob, Teaching Unravelled, Teaching Tips, Schedule of Regular Maintenance, Splicing Bell Ropes and the Teaching DVD. The New Ringer’s Book, Ringing Circles, Teaching Unravelled and Teaching Tips continued to sell particularly well. Three Committee meetings were held during the year, and the usual large number of telephone and e-mail conversations took place. The Committee continued to work closely with Tim Jackson, representing the Stewards of the Dove Database, on the “Dove 10” project. The project was sufficiently far advanced by mid-year for us to invite competitive quotations against an indicative specification. The Central Council Trustees approved appointment of our recommended contractor, Philip Green Printing Services, and the expected level of expenditure in October. Since then we have worked with Tim Jackson and the contractor in order to decide many points of production detail. At year end it was expected that all production details would be finalised and that a final draft would be available early in 2012. The income from sales fell to £13,900 from £17,500, largely due to lack of a major new publication. Expenditure exceeded income by £2,300 following an expensive reprint near the end of the year and the write-down of slow selling stock. The value of stock held was steady at £12,300. The total cash available fell to £12,300 from £14,000. The fund will be adequate to support production of “Dove 10”. Bulk discounts were offered in March as usual, and advertisements were again placed in a number of Association reports. Derek Jones has been closely involved with our work in a consultative capacity, and we thank him for his contributions. The Committee met formally twice in the year and informally by way of email exchanges. It has continued to make steady progress in developing stronger ties with the institutions of the Church of England which have dealings with bells, particularly the Church Buildings Council (ex Council for the Care of Churches) and the Church Commissioners. When the Committee was formed bells in a church to be declared redundant were very definitely at risk of being sold for scrap or otherwise being dealt with in an unsatisfactory way. Although the conservation movement has been effective in ensuring that bells in churches now being declared redundant are not likely to be broken up, the Committee expresses ringers’ concerns at unsatisfactory forms of conservation. Less than 9% of churches declared redundant go to other denominations for continuing use as a place of worship where bells might continue to be rung. Virtually all others are disposed of for secular use and yet it is present policy for bells to remain in situ and especially so in the case of Listed Buildings. The very real risk therefore is that increasing numbers of bells are effectively walled up for an indefinite period. Even if they are available to be rung it is not for the purpose of calling people to worship and the bells become secular rings. In the past many churches with bells passed to the Churches Conservation Trust. This is now less likely to happen as recently only one or two churches per year have passed into the care of the Trust. The Committee is therefore lobbying the central institutions to encourage the transfer of bells prior to the church becoming redundant and before they are subject to Listed Building consent - comparable with the transfer of bells as has happened frequently between churches continuing in use. Hanley and Oxford St. Cross are recent examples where permission to transfer has been refused after the tower has passed into secular hands. The Committee has been invited to present submissions to English Heritage and the Church Buildings Council, and the Church Commissioners have been supportive and sympathetic to the Committee’s views. The Committee has also been keen to strengthen links with the Churches Conservation Trust with a view to providing support to the Trust in the care of its 107 churches with bells. In this we have been very fortunate in securing the assistance of Neil Skelton, now retired as a Field Officer with the CCT. Initial discussions have taken place with the London head office and with regional managers. It is very much hoped that these contacts can be developed to facilitate a greater awareness of the Central Council and the resources it can offer to the CCT. David Kelly, of the Keltek Trust, has attended meetings of the Committee and this has been a huge help in developing an effective and close working relationship between us and the Trust. Some dozen cases are being monitored where churches are closed or anticipated to be closed and where no decision has yet been made as to the future of the bells. The Committee sees an expanding role for the Central Council through this Committee to work with the central institutions of the Church of England and to develop and continue a close working relationship with the Keltek Trust, so taking all practical steps to conserve for ringing bells in churches that may become redundant. We welcomed Philip Bailey and Michael Clements to the Committee at the Central Council meeting in Hereford. Both had indicated a keenness to become involved in the running of the committee and to develop its work. We have had three telephone conferences during the year and one brief meeting at Hereford (before the Council meeting and the election of Philip and Michael) but have yet to be able to have a meeting when all members were able to take part. Illness, changing jobs and previous and overseas commitments have all affected even the best planned meeting. Two conferences have taken place during the year, one at Kineton and the other at Eckington. Both were considered to be useful and worthwhile, even if relatively small. Presentations were made as to the establishment of some Centres and how they now operate (as possible models for future Centres) and further details were given relating to developing ITTS. The opportunity was taken to suggest an idea of assessing Centres and the implementation of ITTS tutors to each Centre. Our main consideration during the year has been the way we propose to implement any basis of assessment of Ringing Centres to give a fair and current indication of their use and effectiveness without restricting them in their work or making their work difficult with unreasonable requests for returns of information, bookkeeping and inspections. The Committee has agreed its initial proposals which are to be circulated to Centres for comment in early 2012 before we progress this matter further. We aim to add further detail to our proposals after taking any comments or suggestions from Centres into account, with a view to preparing a scheme which is acceptable to existing Ringing Centres. The aim of the Committee is to ensure that underperforming or new Centres are recognised in some way but also given help and encouragement, that those which are successful are shown to be such, and that there is information available indicating the level and scope of tuition of each Centre for public circulation. The Committee sees this as a necessary part of being able to improve the standard of Centres where they are seen to be less successful than others and to be able to give some assurances as to the quality and level of tuition at each Centre. During the year the Committee has published two editions of a Newsletter (with another early in 2012) in an attempt to enable Centres to learn of each other’s activities, to keep Centres involved in the on-going work of the Committee, and to share common problems. Another edition is anticipated by the Council Meeting in Chester. The Newsletter seems to be useful and of interest to Centre managers. We would welcome further reports, photographs and other contributions to future editions. The Committee’s database of Ringing Centres has again been revised and updated. Although we request amendments to be forwarded to us, we are intending to actively request confirmation of the data every six months in an attempt to ensure that it is correct. The details of Centres on the Council’s website can then be maintained correctly. It would be of great help if we are contacted when a Centre no longer operates or there is a change of personnel or addresses so that the database may be amended immediately. The Committee considers that Ringing Centres established and financed by guilds and associations will be an increasingly essential component of training new recruits. It has previously recommended that guilds and societies establish a greater number of Centres than at present and would wish to repeat this, but, being aware that recommendations are to come out of the Wellesbourne conference, may seek to review this further. Of those Centres which are in the process of possible establishment, the main request of ourselves (besides the standard needed for accreditation) has been as to the availability of grants or other finance. We give such advice as we can on this but have no monies ourselves to offer. The committee is actively reviewing its guidance for the establishment of Centres. 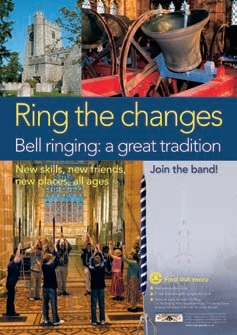 This will comprise a series of case studies about the activities of existing Ringing Centres and examples of good practice in training ringers, to help encourage guilds and associations and other local groups. The aim is to publish this document in autumn 2012. The year started with a new Chairman so our thanks go to Beryl Norris who stood down at the Council Meeting in 2011, having been Chairman of the Committee since its formation. The new Committee is widely spread geographically (while four of us are relatively conveniently placed in approximately the middle of England, three are in New York, Dundee, Germany / Aberdeen!) Our “meetings” and work have therefore used electronic means, although three England residents did manage to meet face to face after the event at Wellesbourne in November. The first and significant activity this year was the Wellesbourne conference “Change Ringing for the Future” at which the new Chairman was asked to open the proceedings by talking about the Committee’s analysis of the apparent trends in the recruitment and retention of ringers. We included a few comparisons with other organisations which have faced similar challenges and started to overcome them. With no precedent, this was an important position to fill at the Conference, setting the tone for the day and potentially the future of ringing! What a privilege and what a responsibility for the Committee! Fuller accounts of this meeting are reported elsewhere. As a result of the conference and after a little thought, one of the Committee tried to reverse the trend by placing the advert (p.484) in his local free paper; this came out in early February 2012. Perhaps this can start a trend! In the USA, Tony Furnivall has launched a specific new initiative in New York, at Trinity’s 12-bell tower. One of the local schools has no gym facilities, and the students all need a “gym credit” in order to graduate. One of the bishops of New York asked if ringing bells might qualify. In the fall of 2011, a group of 15 students came for orientation sessions in the Trinity tower. Ten have continued and are now ringing both strokes together. Of special interest is that this is a group training environment, with most of the 10 students in attendance at most of the classes, and specific goals to be reached in defined timescales. This is rather different from traditional 1:1 teaching of ringing. However, if ringing is to reverse current trends by teaching larger numbers of new ringers efficiently, this may have important pedagogical implications. The concern about younger ringers led to the Committee undertaking a pilot survey of towers in the Oxford Guild which have been successful in recruiting and retaining young ringers. This has been completed over the last 2 years and is to be reported in The Ringing World. The Committee has decided not to widen the scope of this survey, but will provide a copy of the questionnaire to any guilds or associations who would like to use it in their area. The fairly limited range of options given by respondents for recruiting and teaching youngsters would lead one to believe that these methods which have been tried and tested over many years still dominate. Perhaps the use of simulators is the only relatively modern addition to the teaching programmes. It must be remembered that the questionnaires were sent only to towers which had had success with retention of youngsters so the proportion retained of approximately one third on average is perhaps the best that can be expected. The wide range of reasons given by the tower captains for their success would indicate that a lot of thought and effort had been put into making the learning process enjoyable and interesting. It is pleasing to note that the association with the church is still a very important criterion. During the last few years, the first analysis of the membership of university societies has been completed. 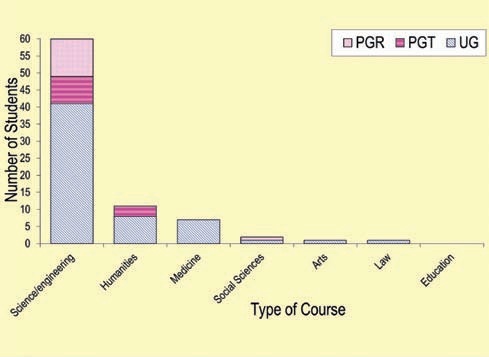 Figure 1 (opposite top) shows the striking dominance of ringing students in science/engineering disciplines! This reinforces the results from the Committee’s previous national surveys of all ringers, but far more markedly. A Ringing World article will summarise findings so far and act as recruitment focus for the next stage. The university society work is now moving into a new stage. They will be contacted again to get some longitudinal data and capture new data from other societies. Qualitative data collection will be explored. University societies are full of young ringers who are still ringing, therefore they may provide interesting insights into good practice for recruitment and retention. This qualitative questionnaire could also be used with other groups of ringers. Almost 50 emails were sent to Cathedral bishops across England, Wales and Scotland asking for their views about bell ringing and ringers. This was not a statistical survey, but a short set of questions and observations, to which they were free to comment. Over a dozen replied, most specifically expressing appreciation for the contact through this enquiry, thanking ringers for our support, and wishing ringing a good future. However, there were observations about “tensions” between some ringers and church communities, and concerns about ringers not participating in services. Many respondents were willing to help ringing but several specifically noted that they were not made aware what was required, and none had a specific means of communication with ringers, most only meeting by chance. There are some important messages here. In conclusion, while some of our activities this year may strictly have diverged from “trends”, it is very evident to the Trends Committee that it is not only counting and observing the trends in the numbers of ringers but recording and analysing some of the factors that are influencing the trends that should concern us. Only by researching the underlying factors will we really be able to know what is and is not affecting the trends. For the next year, we are hoping to increase the committee membership to reflect the increasing importance of the work and the need for specific skills in data collection and analysis. We hope that additional expertise will expand our scope and activity. Three meetings were held during 2011 at Evesham, Cornhill, London, and Christ Church, Oxford. At the 2011 Central Council meeting, Jim Taylor, William Jones, Mike Banks and David Kirkcaldy retired. Mike Banks and David Kirkcaldy were re-elected and we were joined by new member Tim Collins. In order to simplify the election process, we are now a committee of twelve. This means that we have a very wide spread of members from across the southern half of the country but have no members from north of Nottinghamshire. In future elections, we would welcome any interest from people in the northern half of the country. Following last year’s report when we declared our intention to consult with other interested parties over our tower movement study methodology, we have now managed to set up a meeting for April 2012. As soon as we have decided upon a strategy for future studies, we shall make an announcement to the Exercise. We are aware of at least one important tower that is contemplating a major re-hang, and would like to be able to provide this service as soon as possible. In September, the Committee presented a seminar on Tower Inspection and Reporting at the Harry Windsor Ringing Centre, Kineton. Our thanks go to Graham Nabb for making the local arrangements, and to members Adrian Semken for presenting the Seminar and Alan Frost and George Dawson for assisting. It was declared a success by those attending and as the Committee is aware that some who wished to attend were unable to do so because of transport difficulties, it was decided to run it again in 2012 in a more northerly location. Nine tower inspections were carried out by members during the year, and reports presented to the parishes. In addition to this, a number of minor enquiries from ringers were dealt with by ’phone or email. Following the question on the rope supply situation at the last Council meeting, the Committee discussed that matter at its following meeting. By the time that this report is presented, a short piece in response to the question should have been published in The Ringing World. The long awaited new updated Maintenance Handbook is unfortunately still not ready for publication but we are trying very hard to produce it as soon as possible. Over recent years, the Tower Stewardship Committee has been particularly active in offering guidance to the ringing community with regard to child protection legislation. As the government launches the new Disclosure and Barring Service (DBS), the committee will continue to offer timely and comprehensive advice to ringers and PCCs. We are grateful to Chris Mew for his efforts in this area - communicating with a large number of stakeholders, and succinctly synthesizing the complexities of Child Protection for the ringing community. All relevant advice to ringers is available on the Tower Stewardship section of the CCCBR website, supported by frequent updates published in The Ringing World. The Committee has offered advice to a number of towers on such subjects as child protection, noise abatement regulations, insurance, wireless masts, belfry finances, dealing with complaints and how to complete risk assessments. Among a number of unusual requests over the year, the Committee has been asked to provide guidance regarding Diamond Jubilee tower beacons, with regard to health & safety considerations. This advice is now available on the CCCBR website. The Committee maintains communication links with other Committees - in particular the Public Relations and Towers & Belfries committees. The Committee is well served by the wide range of skills, qualifications and experience brought by members. Looking forward, it would be useful to attract a committee member with legal qualifications and experience, as a number of enquiries we receive can have legal ramifications. As well as being pro-active in offering assistance, the Tower Stewardship Committee is also very open to suggestions and recommendations from all areas of the Central Council regarding our remit, our communication methods and any other component of our work. The Committee met three times in 2011: as an online meeting in February, in Hereford in May during the Council weekend, and in London in October. There have been several changes to the membership and composition of the Committee during the year. Pat Albon (formerly a co-opted member), Peter Kirby and Bill Nash were elected to the committee in May and Robin Shipp and Peter Wilkinson were re-elected at the same time. John Barnes, Frank Beech and Ken Davenport will stand down at the 2012 Council but will make themselves available for re-election. Jackie Roberts stood down as a Committee member on ceasing to be an ex-officio member of Council but continued as a consultant. The Committee would like to thank Jackie very much for her work on the Committee over many years, particularly as a Managing Trustee of the Fred E Dukes International Bell Fund and for operating our FunderFinder service for over ten years. We continue to maintain contact with parishes and individuals across the United Kingdom, and occasionally from overseas. Mostly, these are requests for general fundraising advice but we are also pleased to receive news of ongoing projects. We had more than 79 contacts during 2011 and these included 29 new contacts. In addition to contact by telephone, email and letter, Committee members also make face to face contact with parish project leaders where such contact is thought to be useful. Two such contacts were made last year and were much appreciated by the parishes concerned. We provided a service for searches using the FunderFinder grant-finding database for most of the year but, as FunderFinder ceased to be updated in June, it is now obsolete as it becomes more out of date. It is pleasing to note that this continued to assist a good number of parishes until after the service ceased. During 2011 we received 32 enquiries (33 in 2010) and completed 16 searches (11 in 2010). We are currently exploring the possibility of subscribing to an alternative but similar service as well as other means of continuing to offer what has been a very useful service to parishes. Information useful to parishes and/or ringing societies continues to be notified widely through the pages of The Ringing World. During the year an article addressing the access aspects of bell restoration projects was published. We anticipate announcements from the Heritage Lottery Fund regarding changes to their policy for awarding grants and from the Charity Commission regarding a review of the 2006 Charities Act in the near future and we will ensure that relevant information is communicated widely via The Ringing World and the website. We have completed work on preparing a Glossary of terms which may be used in a bell installation/restoration context, primarily aimed at parishes which may not have any trained bellringers, and this has now been included in the Appendices to “Organising a Bell Restoration Project” together with another new Appendix giving Advice on Access - an increasingly important aspect for projects applying for grants. All of the Appendices are published on the website and regularly reviewed and updated as necessary. In 2010 we awarded grants from the Central Council Bell Restoration Fund to 28 projects worth a total of £27,000. Ten of these grants were paid during 2011 making a total of 15 grants paid since the awards were made. These account for £12,000 of the grants awarded. 13 of the projects, awarded grants totalling £15,000, are at various stages of completion, including several awaiting just a final inspection of the work. As these projects are all being actively progressed, the situation changes frequently and we anticipate that most of the projects still in progress will be completed during 2012. We still hold a stock of Oranges and Lemons prints kindly donated by the ASCY and SRCY during 2009. These were offered for sale on The Ringing World Centenary Day and at the Council meeting in Hereford. We will continue to offer them for sale at other suitable opportunities with proceeds to the Central Council Bell Restoration Fund. A new jigsaw was produced in time for the Council meeting at Hereford and this was offered for sale at the meeting, proving to be very popular. The jigsaw series has provided valuable income for the Bell Restoration Fund for over ten years. So far there have been ten jigsaws in the series and these have proved so popular that sales have enabled over £10,000 to be donated to the Fund for which we are most grateful. In accordance with the terms of the Fund, the Fred E Dukes International Bell Fund offered the following grants: Queenstown, South Africa: £200 and Maryborough, Queensland, Australia: £2,000. No grants were paid during the year. Further applications for grants to be awarded in 2012 were invited in November. The Committee has arranged a stall for the sale of Oranges and Lemons prints and jigsaws at the Council meeting in June and members will also be available to answer queries and provide advice. It is anticipated that a new jigsaw will be prepared during 2012 through the kind efforts of Stella Bianco, to whom we are most grateful, and the Committee will support Stella in this project. For several years the Committee has kept an index of towers that have had contact with us. As part of our continuing desire to monitor the effectiveness of our work we will be preparing a map showing the location of each tower on the index. This will, in conjunction with the map we already have showing the location of towers that have received grants, assist us in ensuring that information about our work is reaching all areas. The committee met once during the year. The meeting took place in Northamptonshire and the new committee members were welcomed and took the opportunity to get to know the other members. It is pleasing to have four new Council members on the Committee and they have all shown their worth during the year. This year has seen a significant amount of progress in some areas, but less in others. Work on facilities to permit biographical material to be submitted online continued throughout the year, with the support of the ICT Committee. This work has progressed more slowly than we had hoped. Our planned facility will be dependent on the other new facilities being implemented on the Council web server, which are themselves the subject of ongoing work. We have made much progress in clearing the backlog of unwritten biographical records. Now we are no longer restricted to a single page in a prescribed format, we can include quite a lot more material about each person, which makes for more interesting reading and gives a richer description of that person’s life and contribution to ringing. Many of the biographical records are now available online and we have been pleased that we have had encouraging feedback from several people about this, including from non-ringers. We have been able to add further material about some ringers as it has come to light and we are grateful to the ICT committee and Stuart Piper in particular for putting this information online for us. We hope to fully clear the backlog during the next year. Some of the past Council members are very difficult to trace, as often there is no record of the person’s Christian name and in early days entries in some annual reports contained very little to help pinpoint a particular ringer. A spreadsheet of names of all past Central Council members has been created: this is very useful for reference purposes. A disappointing fact is that many of last year’s new Council members have declined to supply us with any biographical information, even though suitable forms are available online and can be submitted by email. The Committee is very grateful to Alan Glover for his help in assisting us to trace information. Also thanks are due to various Association secretaries who have supplied us with material over the year. Noel James Diserens (Jim), Oxford Diocesan Guild, 1966-1978, attended 12 meetings, died 7th September 2011. The Compositions Committee held a face to face meeting at Hereford in May 2011 to set the agenda for the coming year, and is in contact by email, as well as by regular conference calls. The next face to face meeting is planned for Chester 2012. The Stedman collection consisting of around 270 Stedman and Erin compositions (Caters and above) was published in time for the Hereford meeting and has sold over 70 (out of 110) copies so far. There was a plan to produce a new book of quarter peals but having discussed this with the Publications Committee, there appears to be little appetite for future publications as peal and quarter peal compositions are so easily accessed on the Internet. We will certainly reconsider this if there is a significant demand for a specific publication. The Compositions Committee have submitted quarter peal and peal composition amendments to the 2013 Ringing World Diary to modernise the collection and cater for current tastes in composition. Ringing World reviews and publications in 2011 included over 75 peal compositions, 2011 date touches and Ringing World centenary peal compositions comprised of 5100s from Major through to Maximus. It is our intention to continue to review new compositions throughout 2012, and the Committee is collaborating with the Methods Committee on future publications which will include peals for Diamond Jubilee methods and 5060s. The Compositions Committee receive regular composition submissions and the on-line collection of over 19,000 quarter peal and peal compositions on the Central Council website continues to be updated on a regular basis. During 2011 the Carter machine had one in-house demonstration: to a group of U3A members from the Birmingham area. The machine behaved reasonably well and the group, which included a number of non-ringers, were suitably impressed. In October, we decided to exhibit the Carter and one of the Cummins machines at the Midlands Model Engineering Exhibition in Warwickshire. The Exhibition ran for five days and for four of these the machine rang Little Bob Royal very well. Prior to the exhibition I had given the machine an overhaul and discovered that two of the bell plates are very worn and this was giving problems. By moving the two plates to one end of the machine it was possible to run reliably on 10 bells, hence the use of Little Bob Royal, rather than Maximus. I am currently attempting to manufacture two replacement bell plates so that we can ring with all twelve reliably. A further problem became clear on the last day of the exhibition when John Anderson persuaded me to re-program the machine to a different method. This revealed a problem with the handstroke side of the machine which failed to reset reliably. I am still trying to determine what action to take in order to fix the problem which is caused by the return spring slipping. In addition to the Carter machine, we also demonstrated the most recent of the Cummins machines. I had examined this machine which seemed to be in the best condition and found it would work but with a few faults. By tracing the circuits boards and extracting the computer program from the memory chip I was able to get a clearer understanding of how it worked, and was able to locate two broken wires. When these were replaced and the correct settings of the switches were made, the machine was found to work as designed. As a result it was able to ring various methods on request at the exhibition. Both the machines attracted a lot of attention, from ringers and non-ringers alike. We have been asked to return again this October but I have not as yet committed to this. I have examined another of the Cummins machines, but it seems that this one had suffered a lightning strike. Several chips were missing or damaged and it was not possible to trace the wiring without destroying the machine. I am hoping to examine the other Cummins machines in due course; hopefully some of them will be capable of being restored. We would welcome requests for demonstrations at Loughborough. These could be combined with a tour of the museum, of course. The two Memorial Books are kept in their display case at St Paul’s Cathedral; they are in good condition and the pages are regularly turned. The Great War Book currently records 1207 names and the WWII Book 300 names. The Rolls of Honour website pages have had a number of updates to existing data and a few additional photographs have been added. In conjunction with the Central Council webmaster, Peter Trotman, I will be looking at ways of adding a larger range of photographs in the future. I continue to receive and answer questions from people who have seen the information on the website. I was asked at the last Central Council meeting to consider the location of the Books and mention was made of the National Memorial Arboretum in Staffordshire; while this now has some memorials covering both the Great War and WWII it is primarily a place of remembrance of those who have died since WWII and, as such, I do not think it appropriate for our Rolls of Honour to be located there at this time. However, I am aware that because of the current location of the Rolls of Honour, they are not very visible either to ringers or to the general public so, in consultation with Philip Rogers, the Secretary of the St Paul’s Cathedral Guild of Ringers, we are starting a dialogue with the Cathedral authorities to see if a more accessible, but still secure, location for the Rolls can be found. I feel this is particularly important with the upcoming centenary of the Great War. The work on the new Great War Roll of Honour to record the names of those not commemorated in the original Great War Roll has continued. Tim Noad, a professional illuminator, has been working on the front piece for this and I am hoping that it will be available by the time of the Central Council Meeting in June 2012. Over £3,400 has been donated to date to support this. Research to find the names of ringers who died in the Great War and WWII which were not in the original Rolls has continued and there are at present 81 names to be added to the new Great War Roll and 11 names to be added to the WWII Roll. As always I am grateful to ringers and others for supplying information and once again Yvonne Cairns and David Underdown have provided valuable assistance. Private William Stanley Lynn of Edenham, Lincolnshire, has recently been recognised as a War Casualty by the Commonwealth War Graves Commission; Private Lynn is commemorated on a Memorial in the tower at Edenham and is buried in the churchyard there. An article was published in The Ringing World in November 2011 which gave more details about the six ringers known to be buried in Caterpillar Valley Cemetery, Longueval, France. We would argue that our ‘report’, far from being just a once-yearly paragraph or three within Council papers and aimed primarily at Council members, is actually the Dove website www.dove.cccbr.org.uk/home.php on the internet which is updated almost EVERY day of the year and which is visited frequently by the Exercise as a whole. It was reported to us by Sid Baldwin (John’s non-ringing son) at the end of 2011 that, since March 2008, the Dove website had then received over 0.5 million visits and over 4 million pageviews which we understand puts it into the category of ‘an extremely successful website’. The impressive rate of change of our data reported last year has been maintained throughout 2011 and since, and that brings with it the need for constant (and timely) dealing with the many emails by which the data for those changes arrive. John, as Dovemaster, aims to reply to each and every one within a space of hours, unless he happens to be away from home for a period and then a News Item to that effect is normally shown. Although we had sincerely hoped that Edition 10 of Dove would be in people’s hands before 2011 was out, sadly this did not prove to be possible. Part of the reason is enshrined within what has already been said, namely that dealing with the constant stream of changes which arrive, not a few of which are relatively short-term in duration (such as suspension of ringing during refurbishment of a ring) is where we prioritise our attention. By way of compensation, readers will notice the return of many of the Appendices (to which Fr David Cawley has contributed a sizeable fraction of the text) which were absent from Edition 9 and we trust it will be seen to be a worthy companion to its predecessors once purchasers have had a chance to explore it in detail. The ‘hard graft’ of driving this along has been the result of much consistent and energetic effort on the part of Tim Jackson, whose liaison with the Publications Committee and with our various contributors has been invaluable. We urge our informants that, while we are anxious to learn of and are happy to publicise short-term changes to a tower’s entry (as well as the example given above, the suspension of ringing for other reasons, such as tower repairs, is a case in point), we also wish to learn when those conditions no longer prevail. If you find that YOU are the person who tells us that something has changed, then please consider it your associated task to ascertain and let us know promptly when the situation later reverts ‘to normal’. Just as this report was being prepared, Sid was pleased to get approval for a Dove ‘app’ for iPhone, iPod Touch, and iPad and, within 2 days of its announcement of availability, more than 100 downloads had already been recorded. Further details about the app can be found on the Dove website. The rapid development of IT continues, especially with regard to social networking (Facebook and Twitter, for example). We feel it could be of assistance to us and the Exercise as a whole if there is someone who might be interested in joining our small team to take primary responsibility for developing this aspect of the Dove work. Anyone having such an interest, preferably a member of Council but possibly not, is invited to get in touch with us. As in previous years, we continue to be extremely grateful to Sid, for his programming contributions, and also to Ron Johnston for his wise advice and input. The charity is not incorporated. The constitution derives from rules adopted on the 29th May 1979 and amended on the 26th May 2008 and registered with the Charity Commission on the 22nd October 1979. The Charity’s registration number is 278816. The Honorary Treasurer is: The Revd Dr J. C. Baldwin. The Fund has not been called upon to make any loans during 2011. It has notified its willingness to assist ringing associations which have rings of bells within their area which may need removal at short notice but in the event no such requirement materialised during the year. The Fund’s Trustees continue to keep in close communication with the Trustees of the Keltek Trust to work with that Trust’s Rescue Fund as and when appropriate. The Trustees have been grateful to those who nominate the funds the beneficiary of ‘Every Click’ and to those who continue their loan facility.